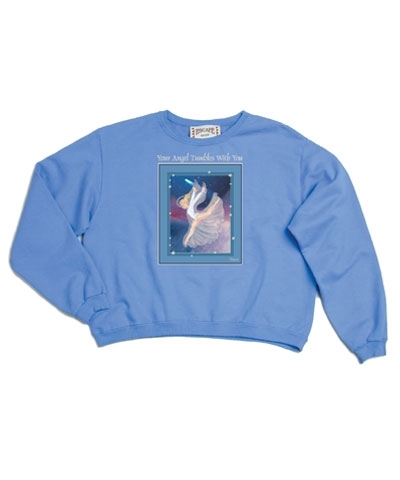 Embroidered "Your Angel Tumbles With You" Sky Blue French Terry Gymnastics Crop Sweatshirt. 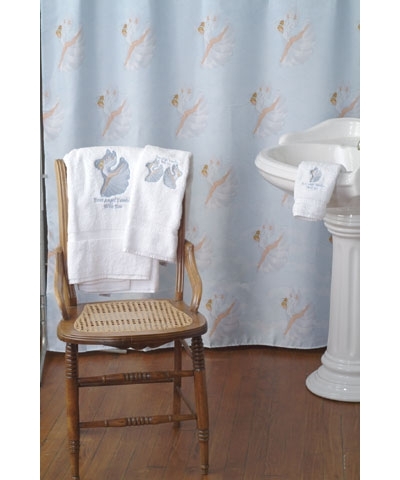 This gorgeous version of our Tumbling Gymnast with her Angel Aura is printed on soft sky blue french terry. 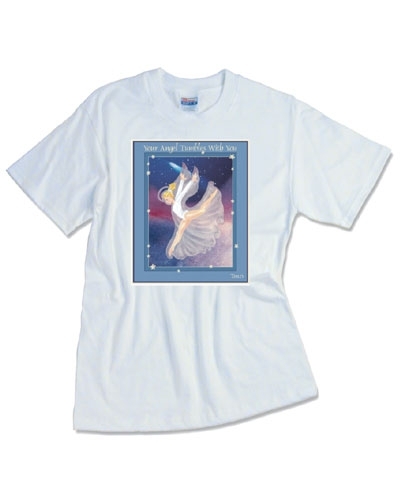 It's the perfect warmup top for the gym, casual wear or for just lounging around.